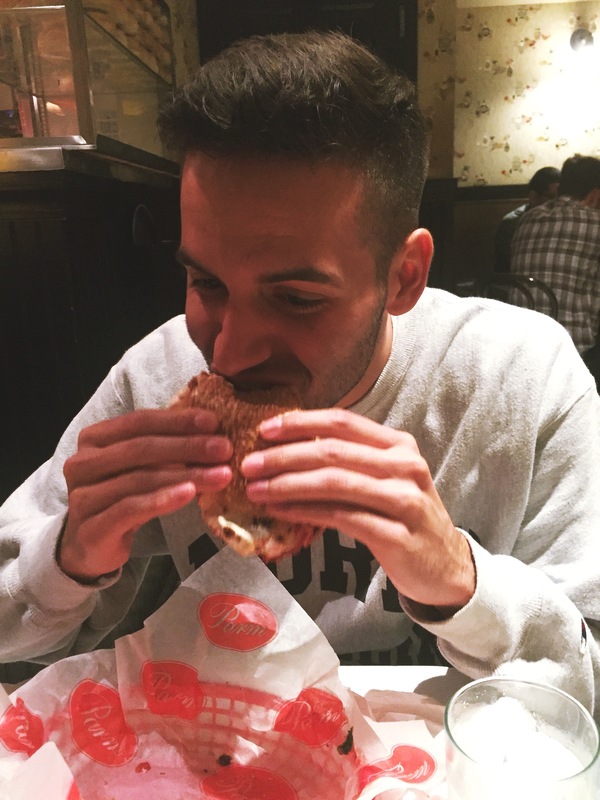 Last night Ben got his first taste of Parm! 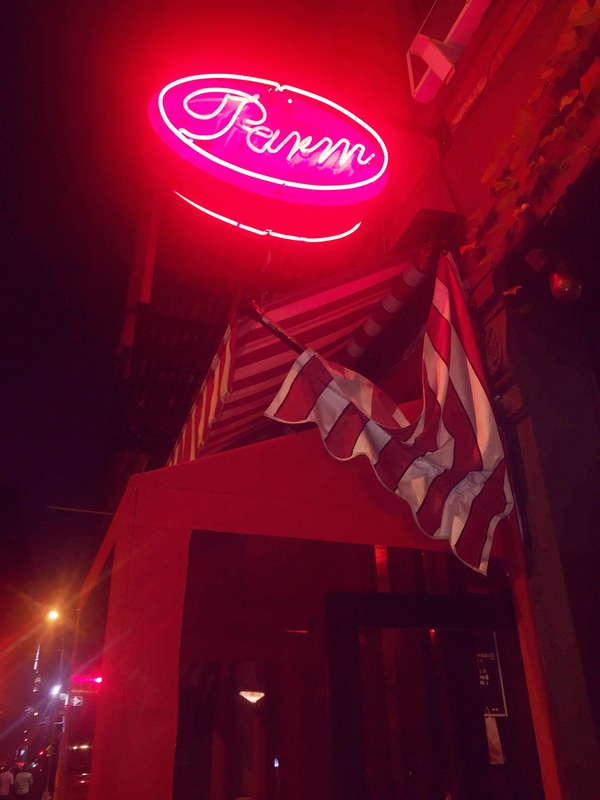 I’ve actually been there before (the Upper West Side location), but last night we went to the Parm on Mulberry Street in Nolita. Chicken parm hero lovers of the world, you NEED to head to Parm to get your cheesey chicken parm fix! They also have platters, which include the chicken parm and pasta, but having tried both I would definitely recommend the sandwich on the sesame hero! 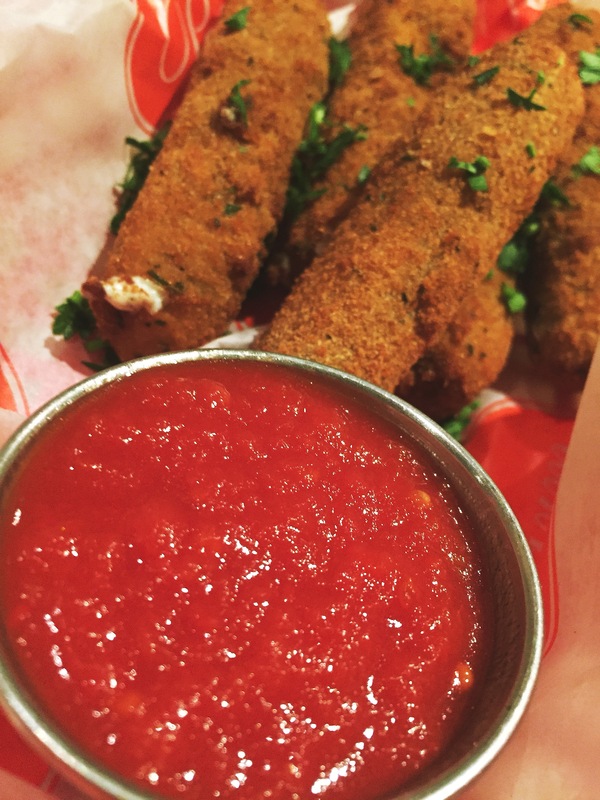 The mozz sticks and the meatballs are also amazing appetizer options! 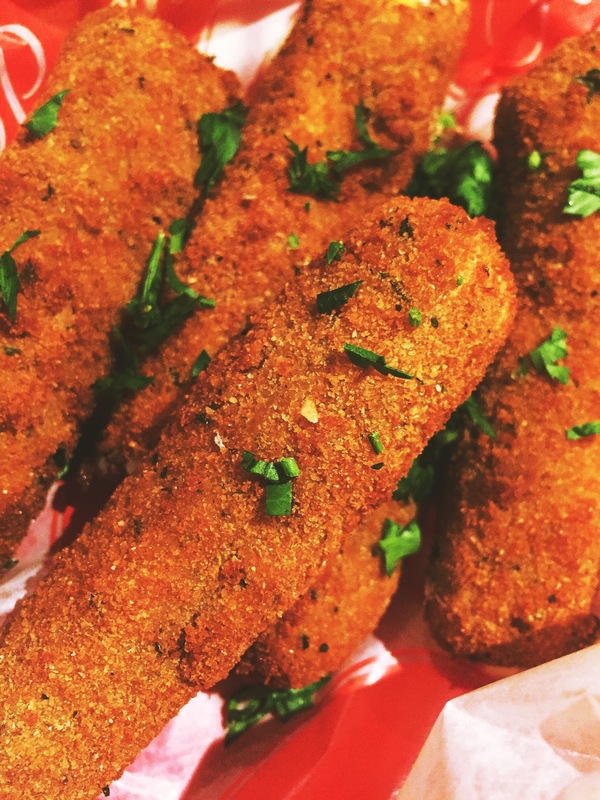 We had the mozz sticks last night and they tasted incredibly fresh. The breadcrumbs were amazing and the cheesy goodness inside was nice and stringy (win!!!). The Nolita location is really tiny, so we had to wait, but the UWS location is a lot bigger and takes reservations. 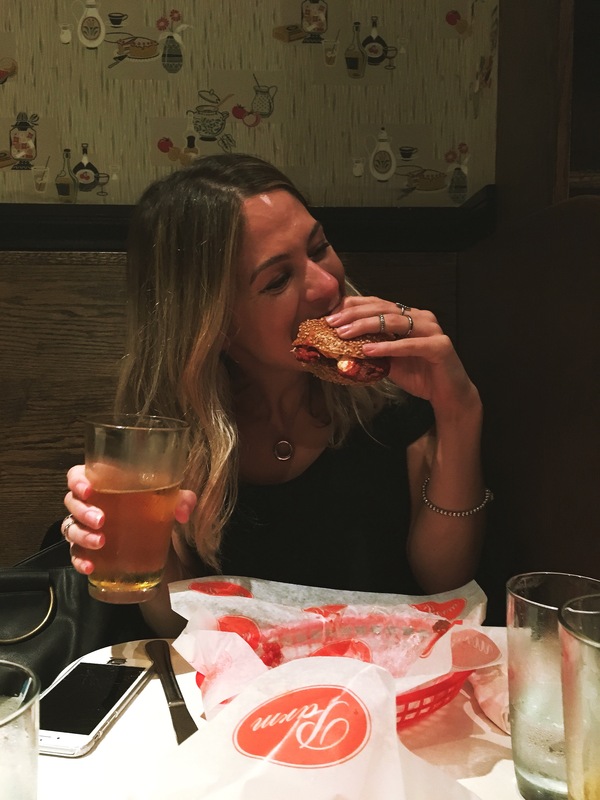 The atmospheres are definitely different: Mulberry St is crowded and trendy (they also have a BALLER playlist including Drake and Nelly), while the UWS Parm feels more like a typical italian restaurant. The ambiances definitely stem from the difference in neighborhoods. 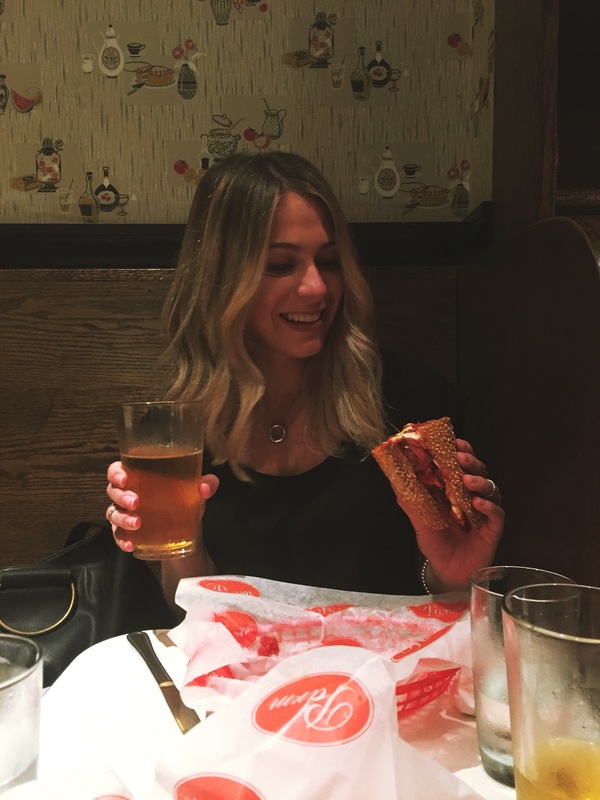 While the food is amazing, Parm is definitely not the cheapest option when it comes to Italian dining, so it helps to keep that in mind. One last note: if you saw my Instagram post (follow me here!) 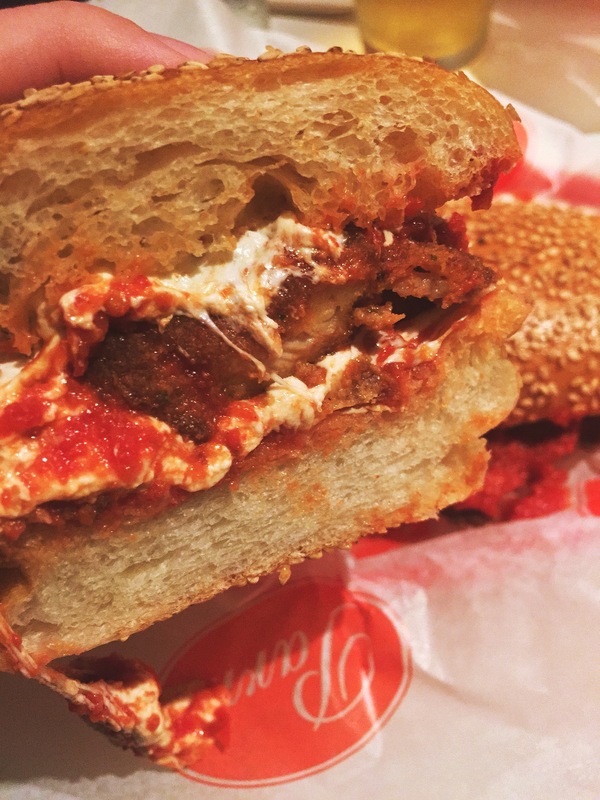 you may have noticed the caption for my Parm post referenced comedian Aziz Ansari. In his show, “Masters of None”, he actually goes to Parm to pick up some chicken parm sandwiches! 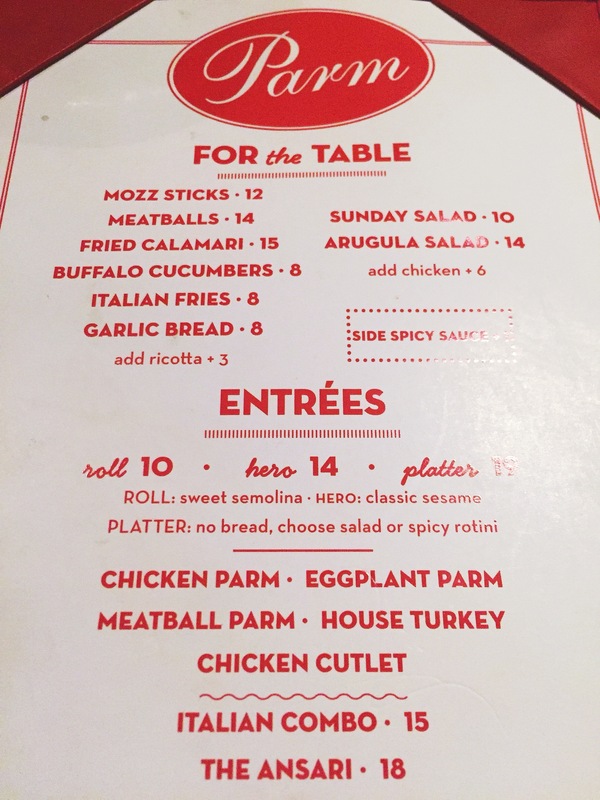 There’s an item on the menu called “The Ansari.” I think that definitely ups the Parm cool level, so take your out-of-town friends and enjoy how impressed they’ll be when you tell them that! Omg it was so good! I was STUFFED after! !